Kashmir Cafes can afford to be complacent. It has a steady stream of clientele and the place is normally packed for lunch and dinner. It’s one of the few restaurants I know that does banana leaf rice in a superbly clean, comfortable and air-conditioned environment, that passes my test. I’ve eaten enough southern Indian food in Petaling Jaya to say that Kashmir is a cut above the rest, serving some robust and multifarious cooking of the Indian subcontinent and at such affordable prices. But this SS3 institution, founded in the 70’s and then moving to its present location just up the road from its old place, continues to earn the loyalty of its local clientele by churning out exceptionally fresh, aromatic dishes embodying the cuisines of Southern India. The spacious dining room is decked out in clean, crisp white paint, extensive mirrors, and rather nicely framed posters of their popular dishes, high up along the walls- it could pass for a modern western Cafe , any time. 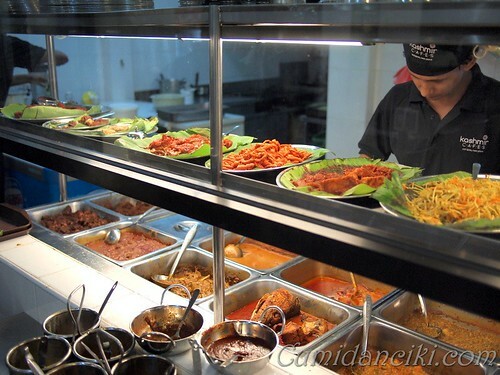 The menu offers banana leaf rice, roti canai, all permutations of thosai and the main serving counter is similar to that of other Indian restaurants which boast a spread of mutton, chicken, lamb, fish and seafood curries (both wet and dry) with complex and fragrant spicing. There are also various putu preparations (putu mayam, putu piring – string hoppers), chapati, briyani rice and mee goreng (fried noodles) to choose from. You’d be a fool not to order the banana leaf rice ( I came back on a separate occasion with my colleagues)as the dishes and curry sauces that accompany it, taste superb. 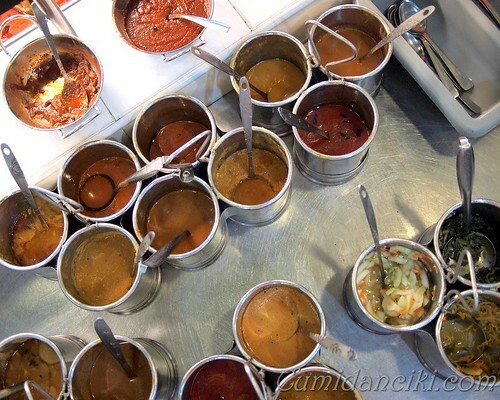 I am addicted to the dahl and the curries here as they taste delicious and are not too salty. A great plus point for Kashmir Cafes, as many Banana Leaf restaurants tend to be heavy handed with the salt. Given how rare it is to find low sodium, skillfully cooked Indian food that accurately resembles preparations in its country of origin, more people should patron Kashmir Cafes – it rocks! old taste, new place ! Rava Thosai is different from the regular Thosai in that it has vegetables in it, and it is made from the Sugee flour or Semolina flour. 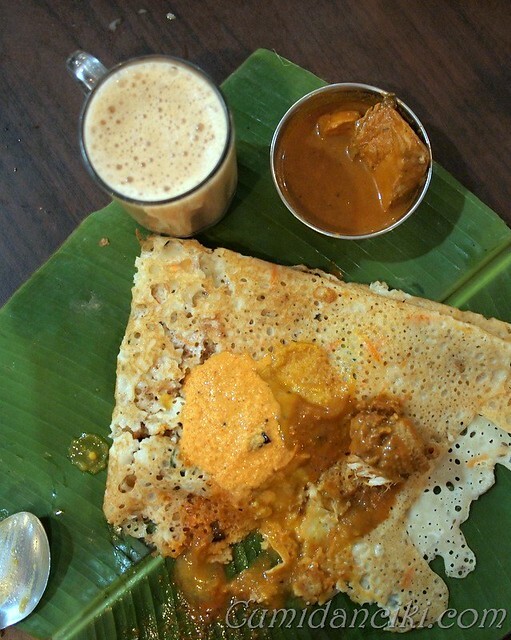 Thosai on the other hand is made from Thosai flour or fermented rice flour. 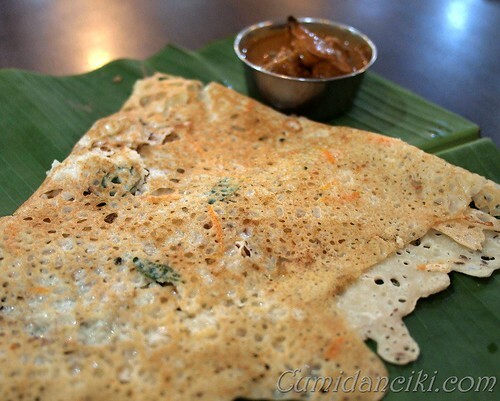 Thosai is usually eaten with a coconut chutney and curries. See how it forms a sodden mess. The messier, the tastier! A version called “masala thosai” has boiled and seasoned potatoes spread onto the batter while it is cooking on the griddle. The sides are then lifted in to wrap around the filling. This version can be eaten on its own without gravy. 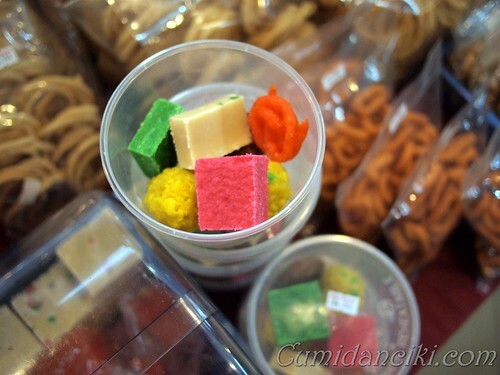 Cumi loves the Indian sweets here. We always buy desserts to go! 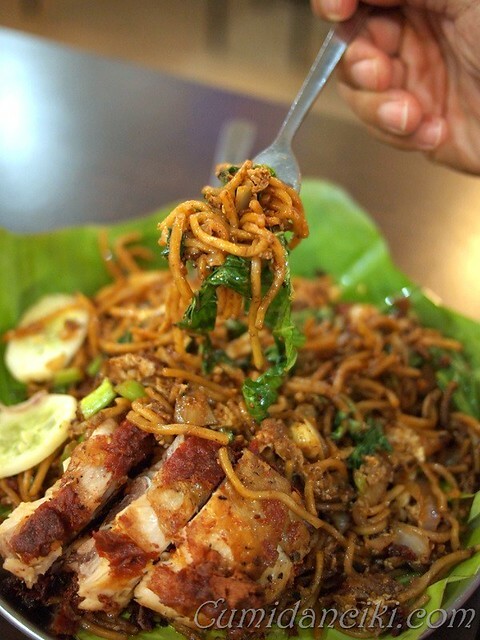 damn i want some blr and ayam goreng!! LOL, OK Joe – any good place in OZ ar? I love those colorful Indian sweets too. LOL, really? wah.. no la Sean.. just SS3!! mmm.. always good to have thosai and Capati.. i agree! LOL, not that spicy.. but really tasty! About time you finally tried! 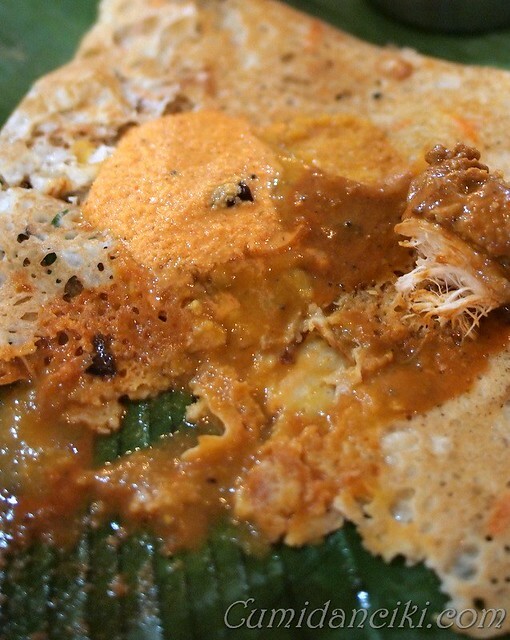 Tip: try the chicken masala rawa thosai (available after 3pm only). I eat with plenty of chutney and hot steaming dahl! Great find, that’s a subtle cross between authentic and hearty local Indian fares. I pass by SS3 almost everyday when I am going home.